September 14, 2013 marked the 37th Annual competition for the U.S. Diesel Truckin Nationals, held in Englishtown, NJ. This is the world’s largest diesel truckin' event held annually. This competition drew a crowd of 25,000 excited truck fans at the Raceway Park. Quality Concrete has been participating in this competition since 2005, and it is surely one of the highlights of the year. General Manager Bob Cherry, Concrete Supervisor/ Dispatcher Jon Nero and driver Jay Pomphey represented the company, and handed out t-shirts with the slogan “Fresh and Creamy Every time.” These shirts were an instant crowd pleaser, and by the end of the day a large number of people were wearing them. We deliver the right amount of concrete right on time! This year Quality Concrete was especially proud to take 2nd place in our group, and continue the tradition of taking home trophies. Aside from tradition, one of the reasons why this competition means so much to Quality Concrete is that it gives us a great chance to show off a truck that we are extremely proud of. This yearly competition also gives us a great chance to meet a large group of people, and get Quality Concrete noticed! Overall it was a really great day, and Quality Concrete looks forward to participating next year at the 38th Annual Diesel Truckin' Nationals. 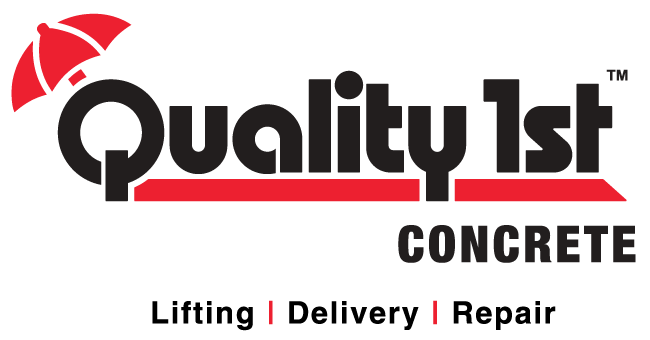 Quality Concrete was founded in 2004 and is one of four companies that make up the Quality 1st Companies. Our sister companies include Quality 1st Contracting, Quality 1st Basement Systems, and Foundation Supportworks of New Jersey. Quality Concrete will be moving soon from our current location in Perth Amboy, NJ to a new building in Aberdeen located on Route 35 South. (next to the A&P) For more information on concrete orders or a free estimate, please call 1-855-246-4278 or visit https://www.concretenewjersey.com. We are currently hiring for Concrete Truck Drivers. ALL Applicants MUST have a CDL License and at least 2 years of driving experience. If you are interested please call 1-855-246-4278 and ask for Jon Nero at ext 601.